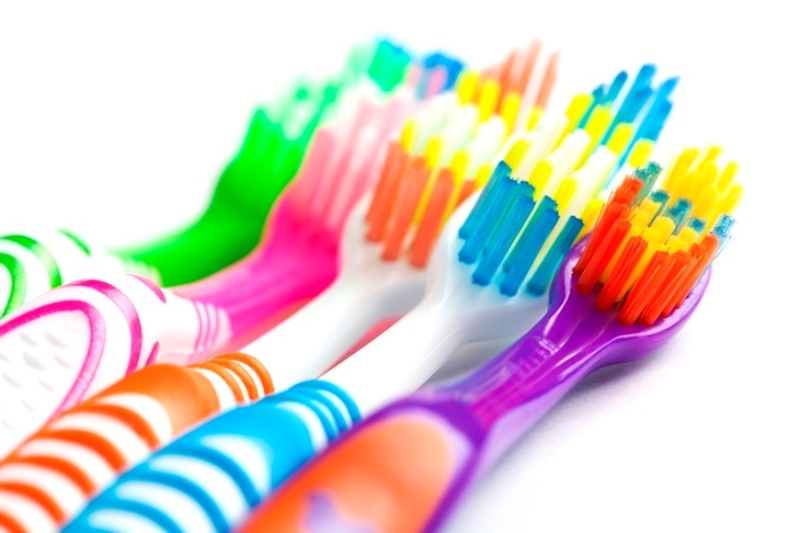 Your toothbrush is a breeding ground for germs. But fear not, just know when it’s time to give yours the old heave-ho. To keep your toothbrush and yourself healthy, make sure you let it dry out between uses. Toothbrushes can be breeding grounds for germs, fungus and bacteria, which after a while can build up to significant levels. After using your toothbrush, shake it vigorously under tap water and store it in an upright position so that it can air out. To prevent cold and flu viruses from being passed between brushes, try to keep your toothbrush from touching others when it is stored. A standard toothbrush holder with slots for several brushes to hang upright is a worthwhile investment in your family’s health. Most dentists agree you should change your toothbrush every three months. Studies show that after three months of normal wear and tear, toothbrushes are much less effective at removing plaque from teeth and gums compared to new ones. The bristles break down and loose their effectiveness in getting to all those tricky corners around your teeth. It is also important to change toothbrushes after you’ve had a cold, the flu, a mouth infection or a sore throat. That’s because germs can hide in toothbrush bristles and lead to reinfection. Even if you haven’t been sick, fungus and bacteria can develop in the bristles of your toothbrush —another reason to change your toothbrush regularly. How can I protect my toothbrush when travelling? A plastic toothbrush case will protect toothbrush bristles from becoming squashed or flattened in your travelling kit. After brushing, however, you should let your toothbrush dry in the open air, to help reduce the spread of germs.